It's a stacked image, layered from 21 snapshots taken at different focal depths. 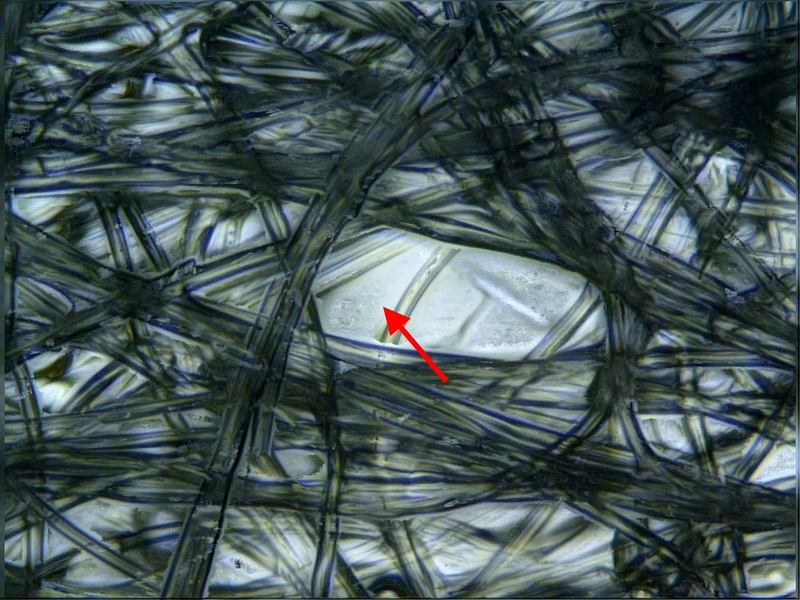 The large coffin-shaped gap indicated by the red arrow is about 119 μm long, and roughly 39 μm across, at its widest point. By comparison, a Trichoderma spore is less than 5 μm long, and most bacteria are barely half that. So, if you're using the stuff (as I sometimes do) to cover GE holes in spawn jars, apply 3 or 4 layers. Nice! thanks for the update! Someone did this many years ago and the threads get lost. It's nice to see a fresh proof for the newer generation. Edited by coorsmikey, 20 January 2019 - 05:20 PM.